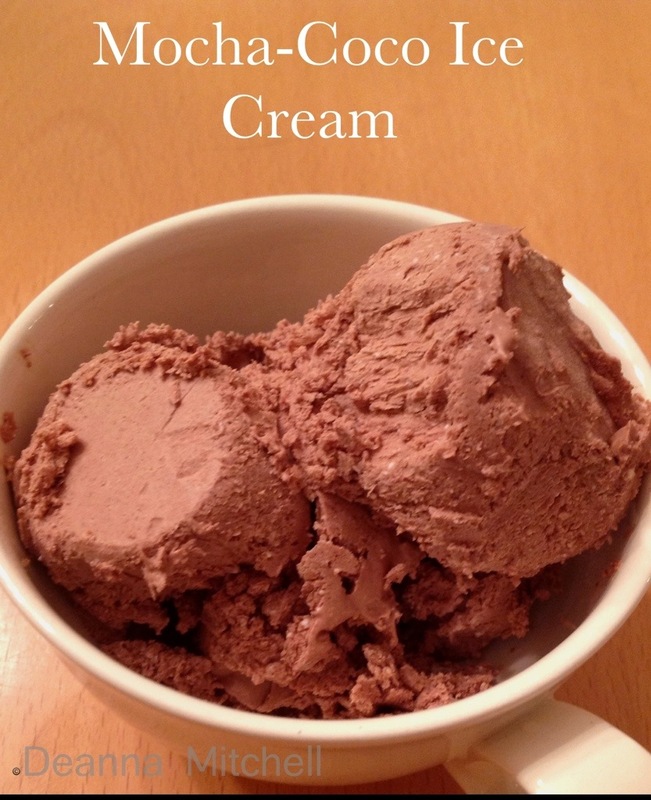 I’m still on a mission to make a version of ice cream that is dairy-free and reasonably healthy. I’m not sure this is a total hit, but it is very tasty! Did you know you could whip coconut cream (not coconut milk) into a fluffy, whipped cream-like confection? I took the basic idea of whipped coconut cream from The Lunch Box Bunch and some ideas about homemade ice cream from Nigella Lawson and concocted this whipped mocha coconut cream that I froze. It tastes very, very good. The texture is not quite right for ice cream (think more like dippin’ dots), but it is cold and tasty and melts in your mouth very quickly. If you accidentally leave this cream in the freezer too long, it will freeze into a hard, solid mass, but an hour or so on the counter softens it up. This is actually a wonderful chocolate, mocha whipped cream for pound cake as well–just don’t freeze it! Put the unopened can of coconut cream in the refrigerator overnight. Do not shake the can! When you are ready, remove the can from the refrigerator and scoop out only the thick, white cream (the can will include some coconut milk at the bottom–save that for another purpose). 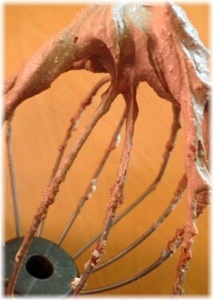 Add the cream and all the remaining ingredients to the bowl of a standing mixer with a whisk attachment. Beat the cream mixture at high speed for about three minutes to incorporate air into the cream. 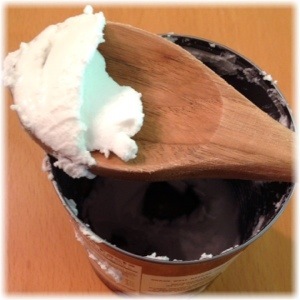 Quickly use a spatula to remove the cream to a shallow dish. Cover and freeze for 1 hour or until fairly solid. If you freeze for longer, allow the container to sit at room temperature for about 45 minutes or so until the cream softens. You know I’ve had my eye on this since it landed in my email the other day. Obviously I am playing catch up. So the verdict is good but not quite ice cream? Cause I am all over the mocha + coconut combo. Chad’s mom makes ice cream with condensed milk and it freezes into a rock like that. Ice cream disaster because clearly I cannot wait an hour for ice cream. I’m going to keep working on it. The taste is great, but it does freeze really hard if I leave it in the freezer for more than a couple hours. If I can figure out how to stop that, this will be amazing. I thought adding alcohol would do it, but apparently, I didn’t add enough :-)When it’s fully frozen, it chunks off and tastes miraculously like dippin’ dots. Not a bad thing, but it wouldn’t fool anyone that it’s ice cream!